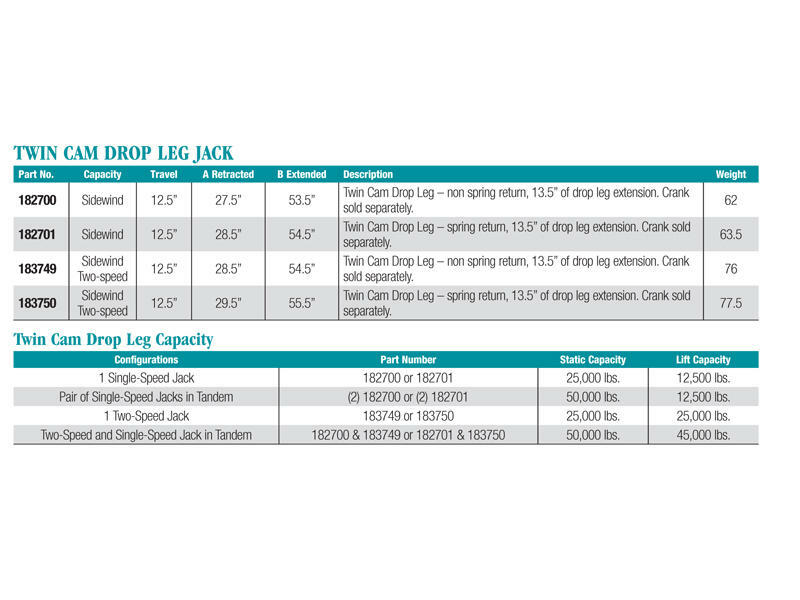 The industry's strongest drop leg jack. The Bulldog Twin Cam features a convenient, enclosed pin mechanism with "twin cam" action that will quickly make this heavy duty. 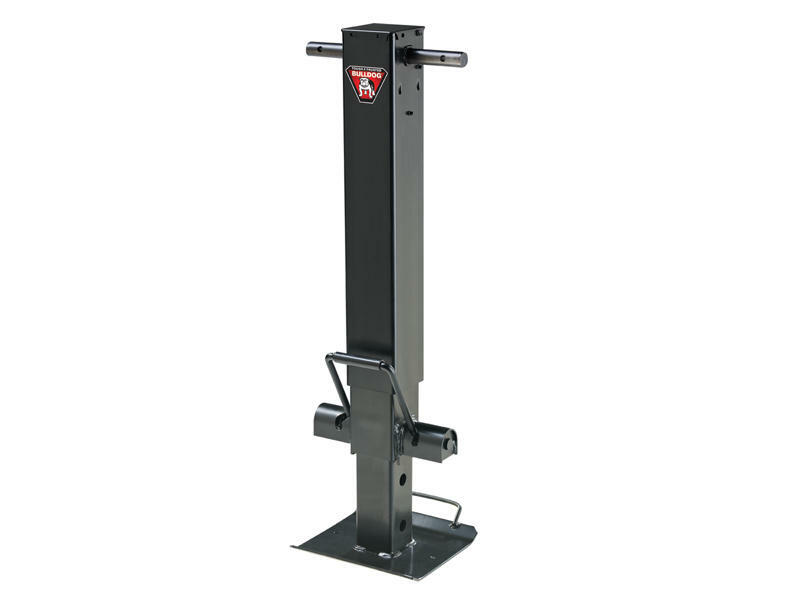 The Bulldog Twin Cam drop leg mechanism allows an increase in vertical static capacity by using 3/4" pins to transfer forces between the drop leg and inner tune of the jack. The unique Twin Cam drop leg mechanism actuates the drop leg pins in both directions, giving the operator full control over engagement and disengagement of the drop leg pins. The design does not rely on spring pressure alone to keep the pins in the locked position. Also, the Twin Cam drop leg mechanism maintains tighter alignment between the drop leg tube and inner tube by having engagement on both sides of drop leg tube.